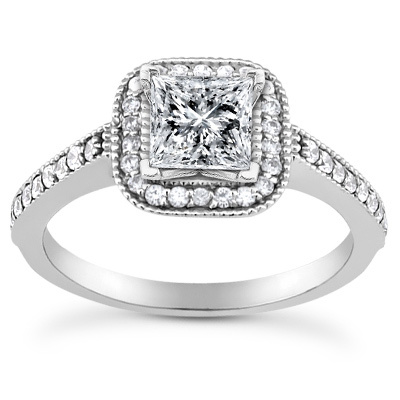 Our princess-cut diamond halo ring has a total of 1.56 carats of diamonds. 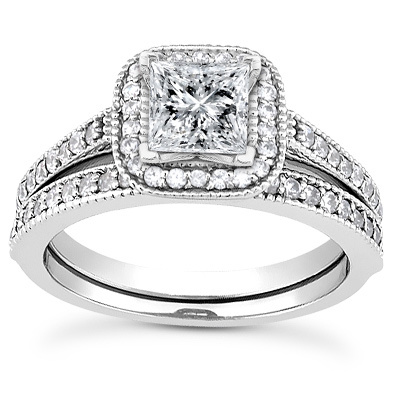 A 1 carat Princess-cut diamond center stone is set in this unique halo engagement and wedding ring set with 0.33 carats of halo and side diamonds, accompanied by a 0.23 carat matching diamond wedding band in 14k white gold. 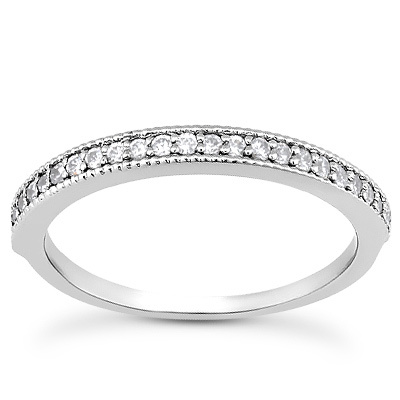 Also available with 0.50 carat or 0.75 carat center stone, shown below, or as a stand-alone engagement ring. 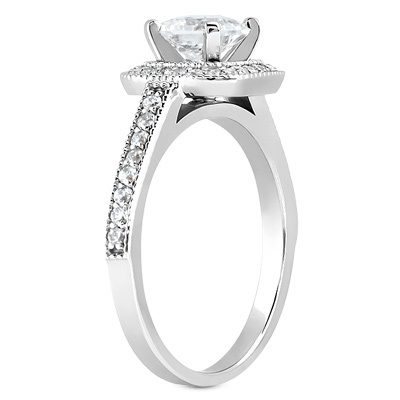 View our collection of quality diamond bridal sets. 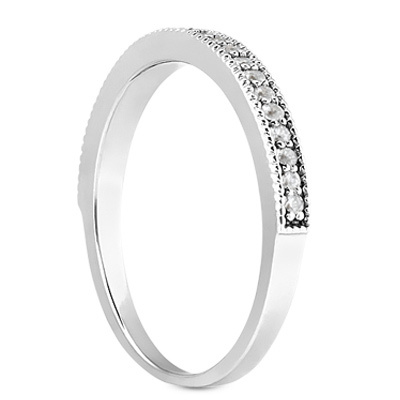 Apples of Gold Jewelry guarantees the 1 1/2 Carat Princess-Cut Halo Engagement and Wedding Ring Set to be of high quality and an authentic engagement ring with real diamonds, as described above.